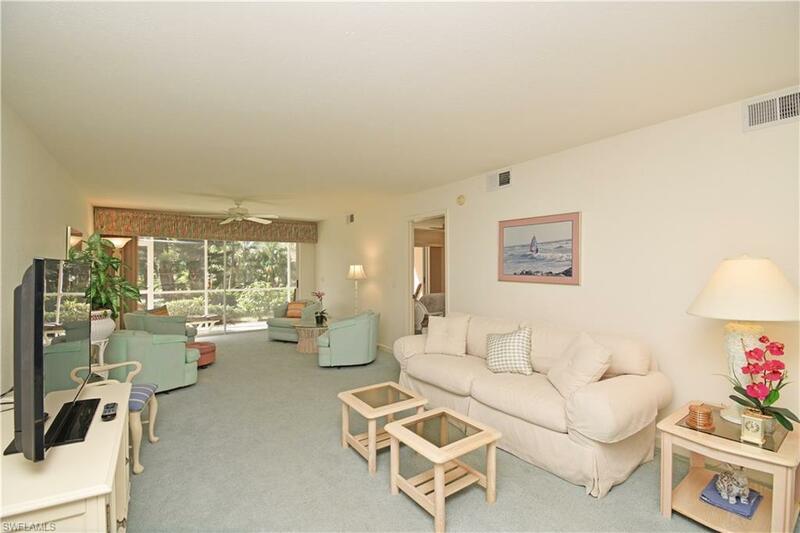 New to market, rarely used 1st floor Original Owner condo has wonderful views of water, pool and lush landscaping. New Hot Water heater to be installed per Association requirements. This owner is meticulous. 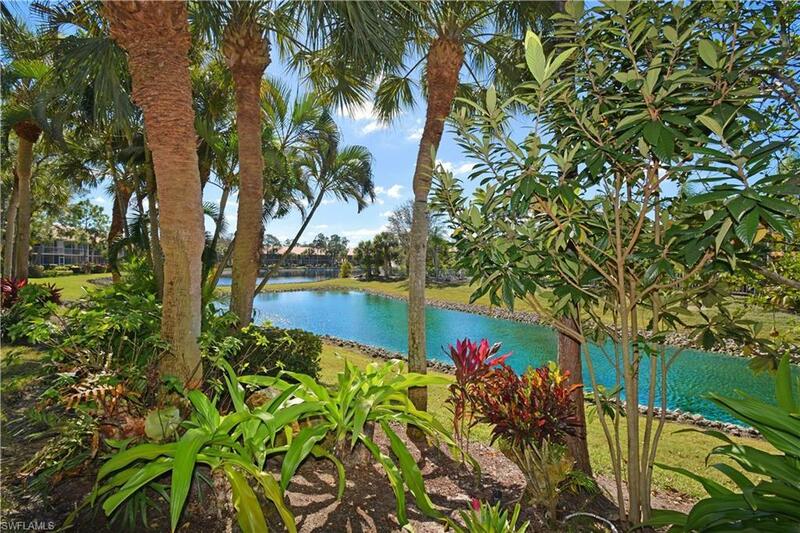 Pool is steps away yet privately hidden by the large tropical plants and trees. 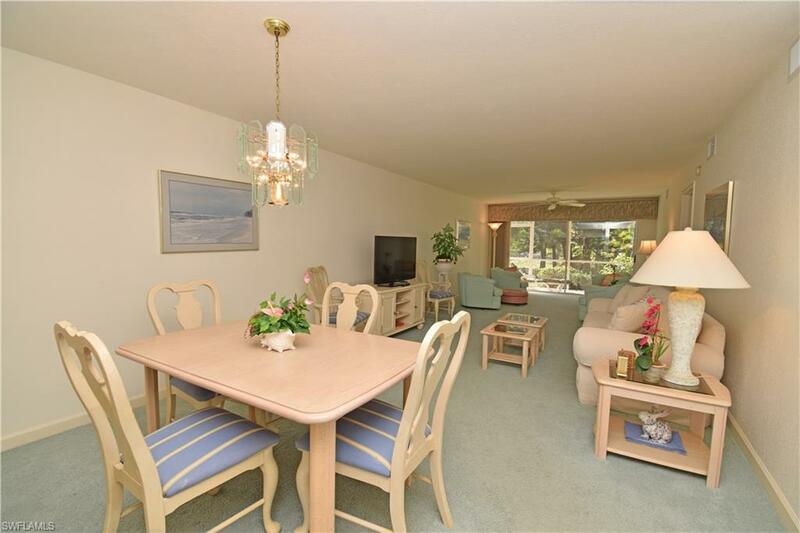 Enjoy the large screened lanai facing SW to sun, warm breezes , and 2 new fans, while the other lanai in front of condo gives a private area to relax while accessing kitchen. Condo is offered turnkey furnished, move right in. Wide open floor plan to enjoy kitchen, dining and living room area. Sliding Doors open up to the water views. 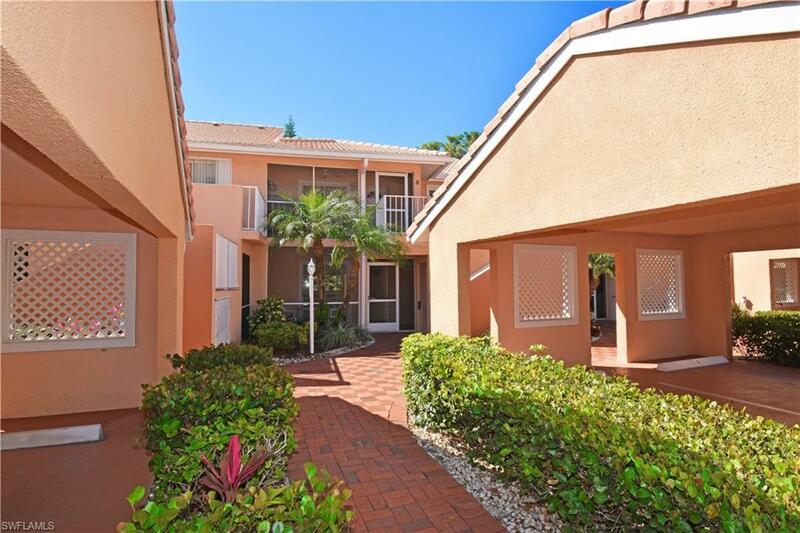 Light bright condo has parking right outside front door, and Seller is ready offers. Falling Waters offers Bocce, tennis, pool, community activities, clubhouse walking distance and close to downtown Naples. Easy access to I-75 at Davis Blvd. Gated front entrance, easy rental policy for investors. Low Condo fees.